Until now I’ve never even thought of cooking a pumpkin. Carving and lighting with a candle to display outside the front door was about all I could handle. 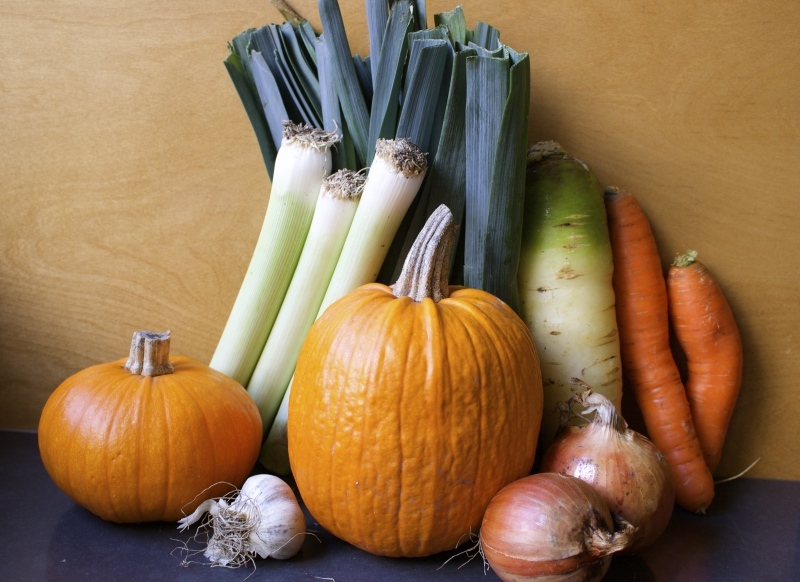 But along came not one but two pumpkins in this week’s organic produce box, and I tossed the question to my foodie friends: What can you do with these orange orbs? Susan Ranger suggested soup. As I surveyed the rest of the ingredients in this week’s box, a vision appeared—in the form of my sister, wonderful, experienced cook Julia Richardson. She suggested this Pumpkin Leek Soup. In a large pot, heat olive oil on medium, then add onions, leeks and garlic. Cover and turn heat down to low. Cook, stirring occasionally for 15-20 minutes until softened. 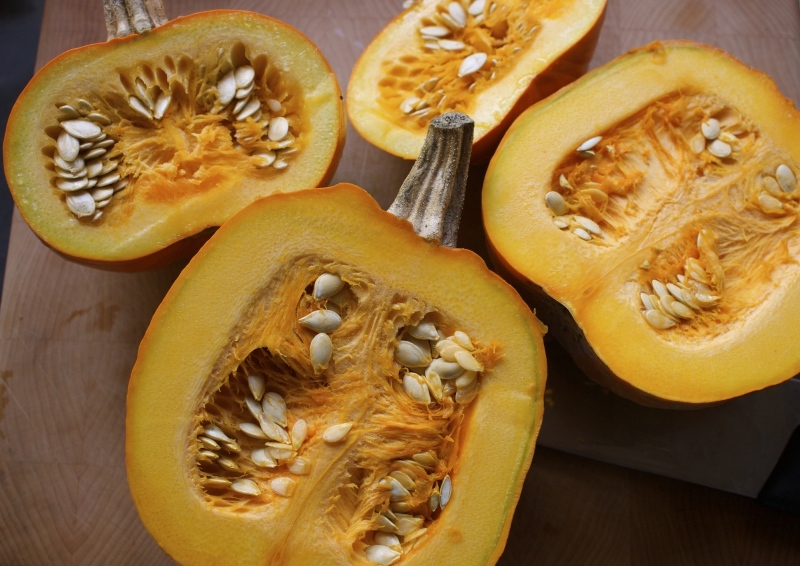 Add pumpkin flesh and remaining ingredients, then cook for 15 minutes on medium-low, stirring occasionally. Cool, blend to a creamy purée and serve with Crispy Beet Chips. Serves 10. In a large baking pan, combine all ingredients and lay the beets out in a single layer. Bake for 40 minutes, turning and removing slices as they are done. Note: These chips are not really crispy, but they are delicious. 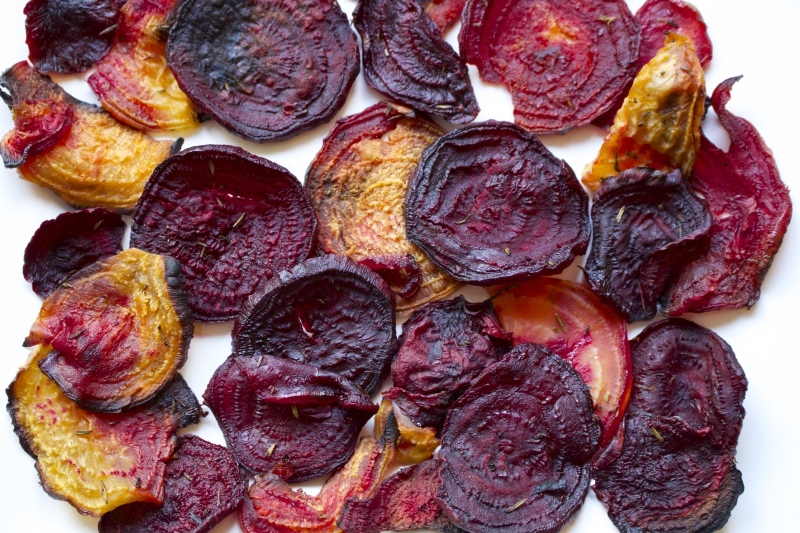 For crispy beet chips, you’ll need a dehydrator. Here are 13 movies you might be excited to see this season. Have you been enjoying the stunning fall colours? Have you seen Humans of New York? First I was impressed with these photos and interviews of strangers; suddenly I’m obsessed. Brandon will capture your heart in the four minutes it takes to watch him work his magic. Wishing to pay homage to HONY, I’ve given birth to a brand new JC page, Jittery Jabber.- sharing your food stories, one by one. The soup seems fabulous and I really like the red hot beet chips! They can be used for a lot of things now that can come to life with a little fire and spice! Thanks Mike. I can’t seem to roast anything without Frank’s RedHot sauce now that I’ve tried it. I’m looking forward to the Hotluck party to see how many cool new recipes take advantage of Frank’s punch. Jovina you are my number 1 source of encouragement! 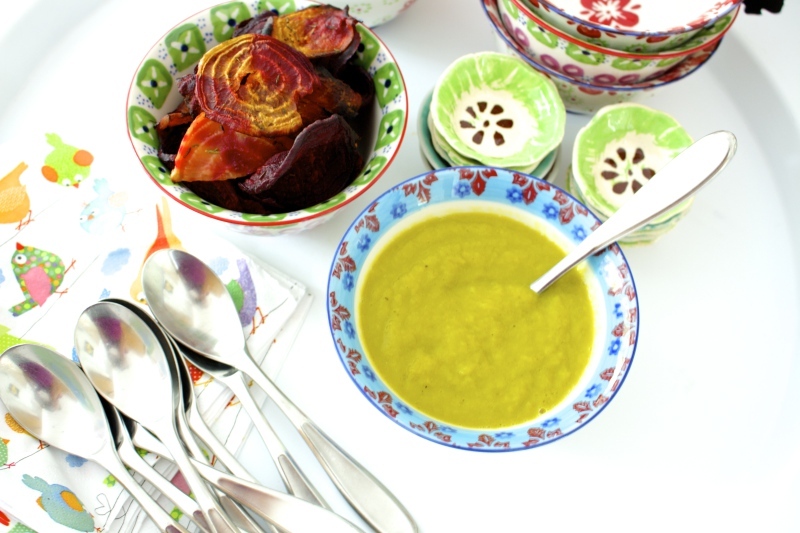 I love the colour combos in this pumpkin, leek, beet trifecta. 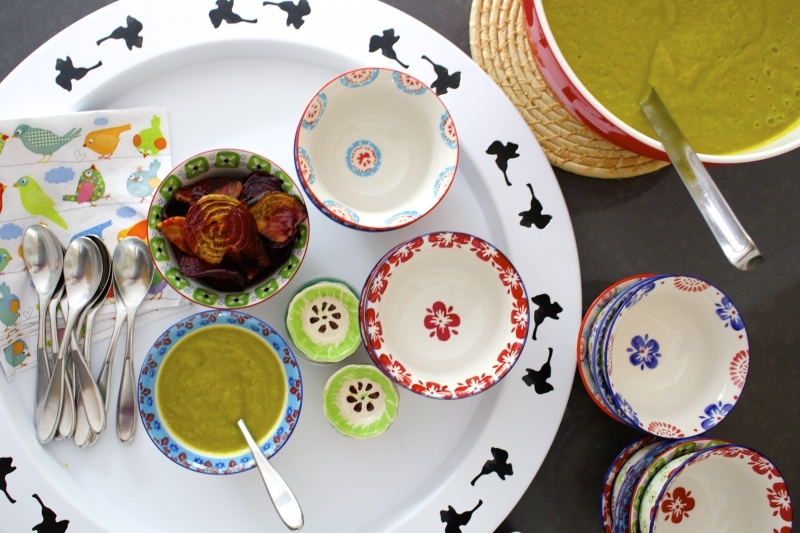 Soup looks delicious and the beet chips are a great idea. I have pumpkins in the pantry that would be perfect for this recipe.